NOTE: THE FORUM IS ONLY AVAILABLE TO SUBSCRIBERS. If you’re viewing these lessons as a sample, the Forum exercises are unavailable. Is there anything more important to speeding up sales than talking to the right person or people? 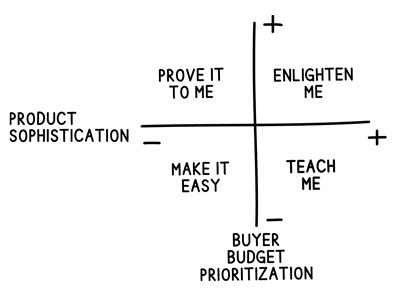 The Buyer Budget, Product Sophistication graphic. https://www.chamberspivot.com/wp-content/uploads/2017/03/CPI_logo_confo_email.jpg 0 0 Greg Chambers https://www.chamberspivot.com/wp-content/uploads/2017/03/CPI_logo_confo_email.jpg Greg Chambers2018-01-25 19:13:342018-03-06 20:26:13Who are you talking to?